The wind made an effort, but failed, and a batlike shadow sank toward the roof garden of the penthouse opposite. Piece by piece, I fed my wardrobe to the night wind, and flutteringly, like a loved one’s ashes, the gray scraps were ferried off, to settle here, there, exactly where I would never know, in the dark heart of New York. 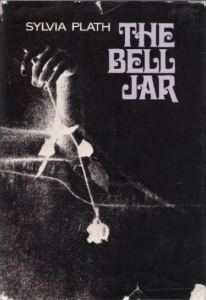 The Bell Jar is the 12th book I’m reading for my Before 25 Bucket List!